After Hansika Motwani, young south Indian actress Megha Akash has become the latest victim of online fraudsters. 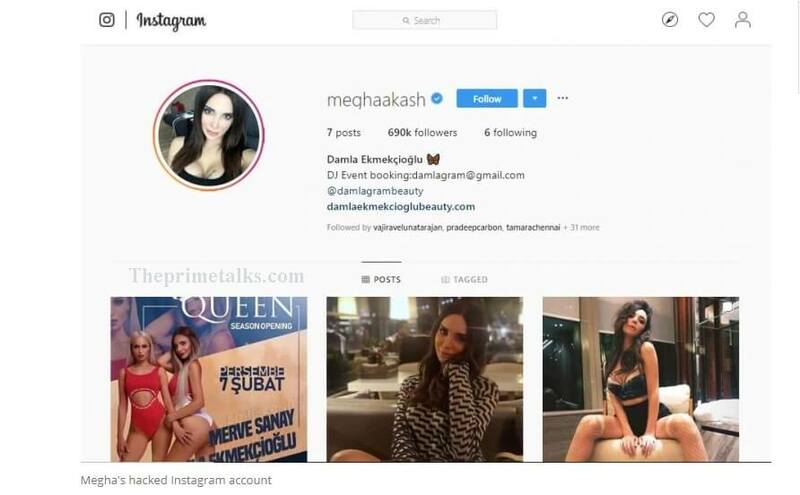 Megha Akash Instagram Account has been hacked and renamed as Russian DJ Damla Ekmekçioglu. Megha Akash is one of the most followed south Indian actresses on Instagram. She owns a verified account that boasts of 691,000 followers. Online fraudsters hacked Megha Akash Instagram page and changed the details and display picture.